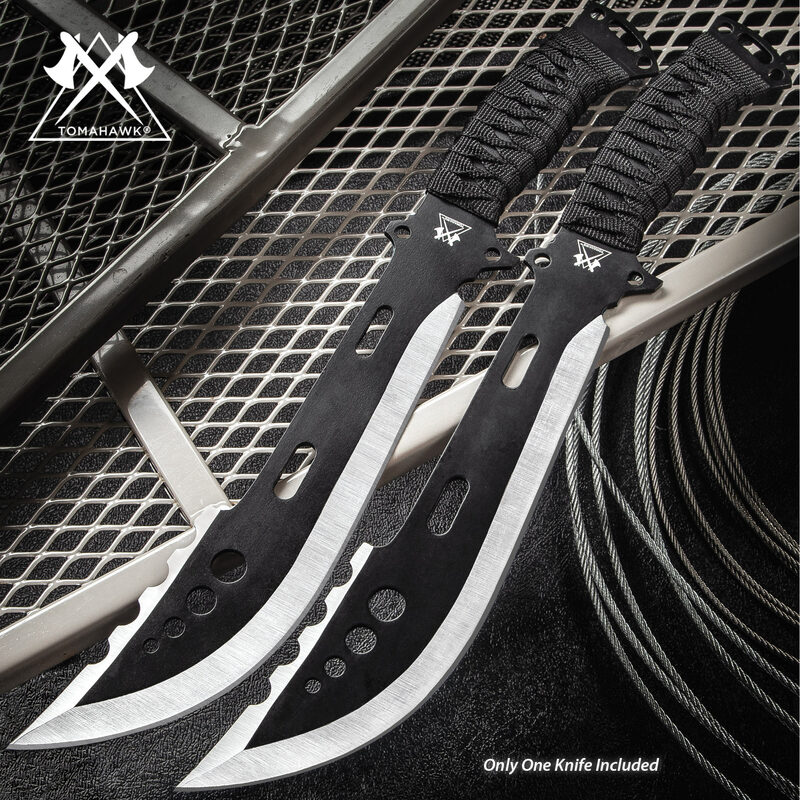 You need a sharp and sure blade when you’re battling the alien hordes in intergalactic warfare and our Galactica Fantasy Fixed Blade Knife is just the blade you need. 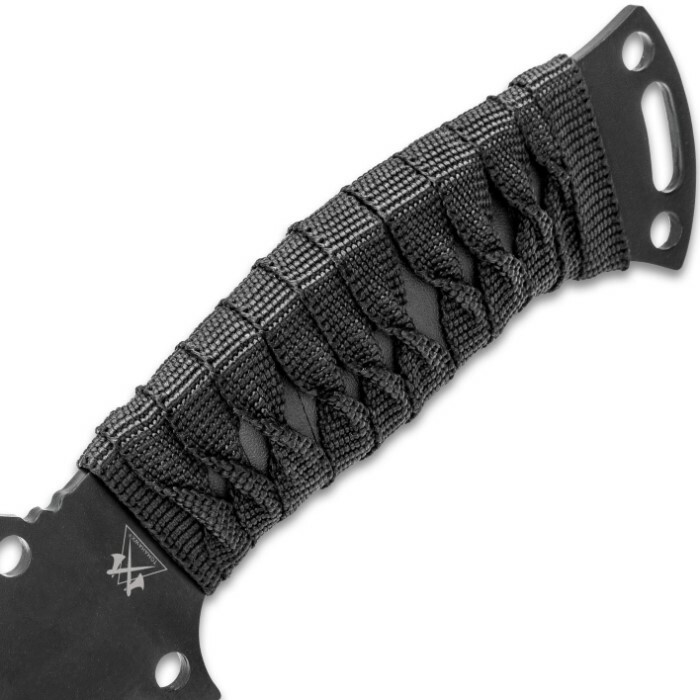 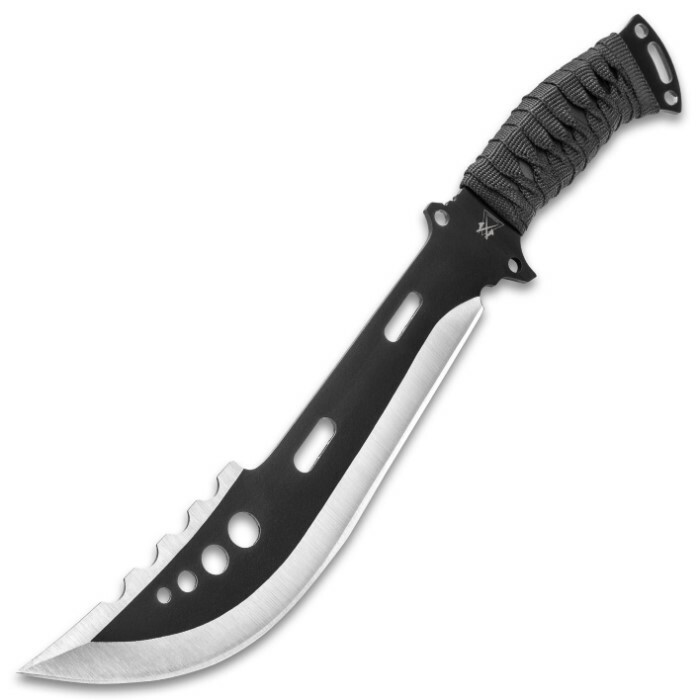 It has an 8 3/4” two-toned, black and satin stainless steel upswept blade which features notching on the spine and lashing holes. 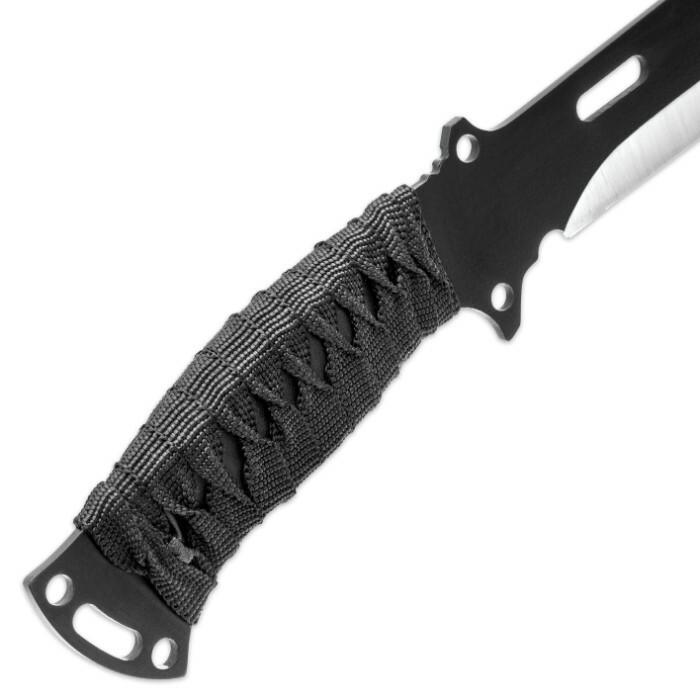 The handle is TPU wrapped in black nylon webbing and it features lashing holes in the pommel and a pronounced finger choil. 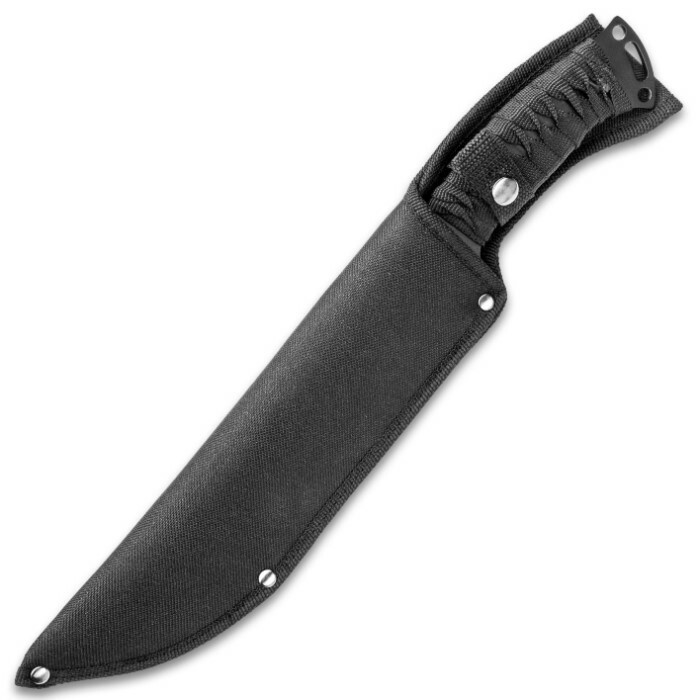 The 14 1/2” in overall length fantasy fixed blade knife slides securely into a sturdy nylon belt sheath with a snap closure. 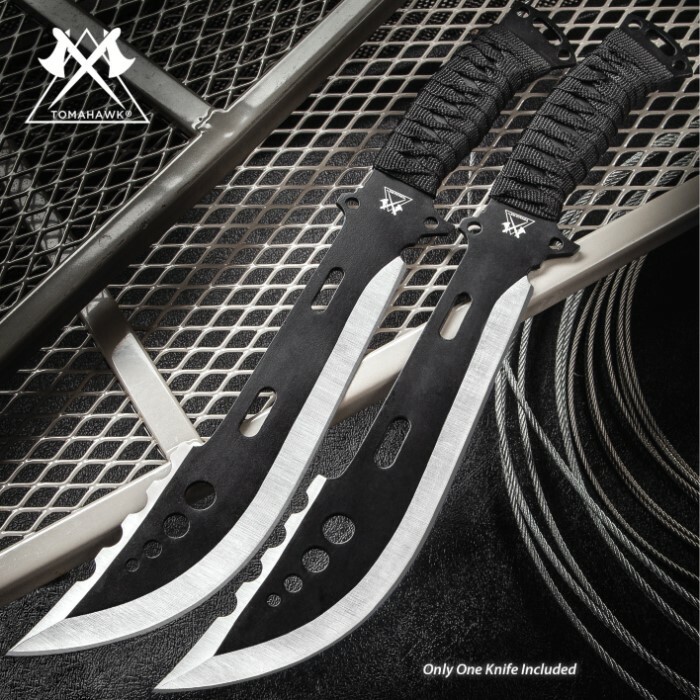 It's a good blade, nice size too, if I had anything negative to say, the wrap on the handle could be better, is it a deal breaker, certainly not, I did buy two of them, I only wish the sheath came in a left handed setup which I am.